DAQMAN Mon: Now 7 NAPS IN 9 DAYS !! MAGNIFICENT SEVEN NAPS FOR 119 POINTS PROFIT: Daqman was under orders to deliver a naps hat-trick and his seventh in nine days yesterday, boldly marked with maximum stakes. No pressure then! There was quite a bit actually as Josies Orders (WON 5-4) lost the lead over the Punchestown banks but came again. The profit on the seven is 119 points to recommended stakes, with three supernaps among them. Daqman was also third with Top Moon (w/p 3rd 20-1) but the value-betting scores remain 23-15 to Daqman over Pricewise. SHAMROCK’S 6/1 NAP: There was further good news for followers of BETDAQ TIPS at Punchestown when SHAMROCK’S NAP Sinoria WON 6/1 on Sunday. GRAND NATIONAL COUNTDOWN: Daqman reviews yesterday’s Punchestown Trial and tomorrow and Wednesday checks out the weights, which are officially announced tomorrow. IT’S THE GORDON ELLIOTT SHOW! Fitzhenry ‘won’ for me yesterday. There were so many Gigginstown runners that bookies opened a ‘without Gigginstown’ market in the Punchestown Grand National Trial, and the J P McManus favourite claimed fourth with the Pricewise selection, Solomn Grundy fifth. The right order of things, then. Now, after his first and third, Dounikos and General Principle, in the race yesterday, ‘without Gordon Elliott’ could be a feature of betting on the Aintree Grand National. 159 TIGER ROLL Back to back wins in the Cheltenham cross-country and the Grand National. 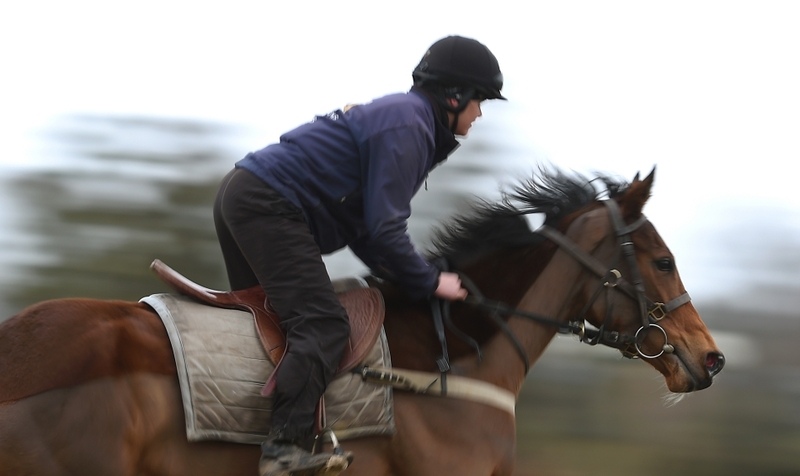 But under a cloud, without a run since beaten on the same Cheltenham course in November. 155 ALPHA DES OBEAUX Tracking leaders when fell Chair at Aintree last year when trained by Mouse Morris. Back to form when runner-up in the Thyestes. 154* MALA BEACH Troytown winner in November, 2017, but seen only once in the last 10 months, down the field in the Galmoy Hurdle. 149* MONBEG NOTORIOUS Down the field the last twice but second in the champion novice at Punchestown last Spring. 144 FOLSOM BLUE Won the Punchestown Grand National Trial last year before fourth in the Irish Grand National but 12 now. 143 AUVERGNAT Taking the Tiger Roll route. Banks winner at Punchestown before taking the PP chase (Grade B) over Christmas. 142 GENERAL PRINCIPLE Won the Irish Grand National in April; fifth in the Thyestes in January and third to Dounikos in yesterday’s trial. 1.02 Angers (2m 1f hurdle) Shaktiman has won on the Flat, which is better form than most of these, and he hurdled well enough at Pau. Golden Dario is another with Flat ability (won 2m maiden) and could take a step forward over hurdles here. Full of Gold has had winners of six-figure sums in England for Peter Bowen and Paul Nicholls, and his son, Always To Win, appeals for a pound. 1.37 Angers (4yo fillies hurdle) Benidorm catches the eye as a holiday bet away from the flu bug! This one is related to a whole host of jumps winners for a trainer who is a dab hand with juvenile hurdlers. There was a track tip this morning for Lady Lises. 2.47 Angers (2m 4f+ handicap) Ultrabet would be best of the day on his five wins (hurdles and chases) and good run last time out, but it’s against my religion to back 11-year-olds in handicap hurdles. I’d prefer to look for potential at nearly half that age, and I find it difficult to choose between Dindin, an Angers CD winner, and Baronne d’Anjou, back from chasing to hurdles, over which he won last year.